As the prime minister speaks about a personal mission to fix our broken housing system. a Bournville reader asks several probing questions, adding ‘only time will tell’. 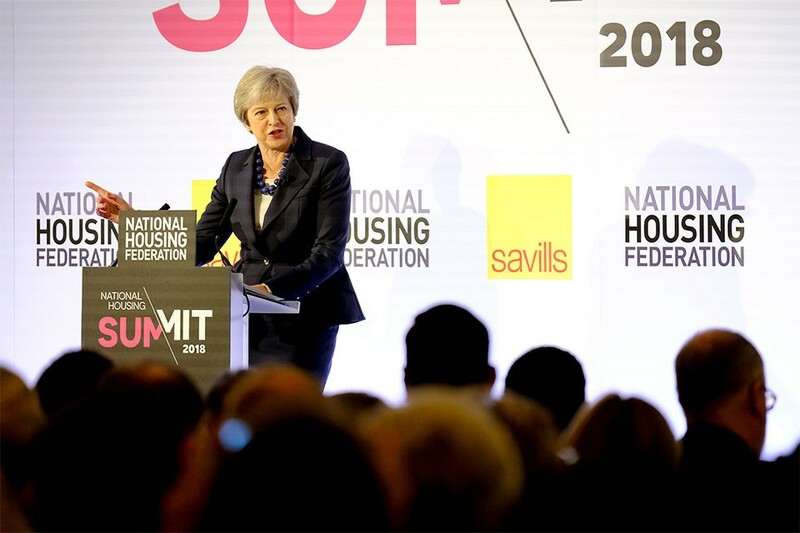 See the video of the PM’s speech to the National Housing Federation here. “Since my very first day in Downing Street, I have made it my personal mission to fix our broken housing system and making sure that vision becomes a reality. We are already making good progress. In 2016/17, more than 217,000 additional homes were added across England. That represents a 15% increase on the previous year”. “It’s crucial that Government investment helps housing associations to build the right kind of homes at the right prices. “In practice this means building more homes at the lowest social rents – which is often the only truly affordable option for people on lower incomes”. Mrs May announced a £2 billion initiative. Under the scheme, housing associations will be able to apply for funding stretching as far ahead as 2028/29. But housing consultant Joe Halewood pointed out that £2bn for the period of 2022 to 2028 is far lower than the funding housing associations were receiving from the government until it was slashed by George Osborne in 2010 to just £450m a year. Was the £2 billion initiative a boost – or a mere 20% of the 2010 Labour funding in 2010? “This new funding is one quarter of that amount and at £333m per year is just 20% of the £1.68bn housing funding the Tories inherited from Labour in 2010!” he blogged. Indeed, as Joe Halewood adds: ever since the Conservatives’ 1980 Right to Buy of council houses made renting a second-class, non-aspirational cultural phenomenon and led UK housing policy for the last 38 years – a policy which our Bournville reader points out is not being jettisoned? In 2005 Zenna Atkins chair of Places for People, a housing association, pointed out that traditional ideas about social housing persist. So amny years ago she advocated creating places people want to live in, encourage mixed economic communities, and create more ways for people to step on to (and off) the homeownership ladder. We need to be flexible in how people are able to access and fund these homes. Admittedly, this requires a radical shift in thinking. We would need to no longer build social housing places, but build affordable homes for people who could choose how they paid for them. The property should not brand you. How you pay for your home should not be public knowledge. the social housing should not be tucked away behind the private homes and “As you look from building to building, house to house, you should not be able to tell simply by looking which homes are affordable and which were sold at the market rate”. Multimillion pound housing developments are using separate entrances to segregate the low-income tenants from wealthy home buyers – termed “poor doors” in the United States. In the US where it began, there are also separate rubbish and bicycle storage spaces. As a paper by Guildhall Chambers puts it, politely: “Most frequently, VAs are used to seek a reduction in the amount of affordable housing which a Local Planning Authority’s policy would otherwise require. The LPA’s policy might, for example, dictate that 40% of the residential units created by a new development are sold at below market rates to support the provision of affordable housing. If the developer can show that this would make the development economically unviable, it can argue for an exception and a corresponding reduction”. “Access to funding for housing associations to employ more brickies and less bureaucrats and build more affordable homes is positive but does not go far enough”. “Homes for affordable and social rent are desperately needed across the country now, not in 2022, and the measures announced today fail to provide the funding certainty councils also need to play a leading role in solving our housing crisis. “If our country is to get back to building the 300,000 homes a year we need, the Government needs to ensure all areas of the country can borrow to invest in building new affordable homes and the necessary infrastructure to go with them”.